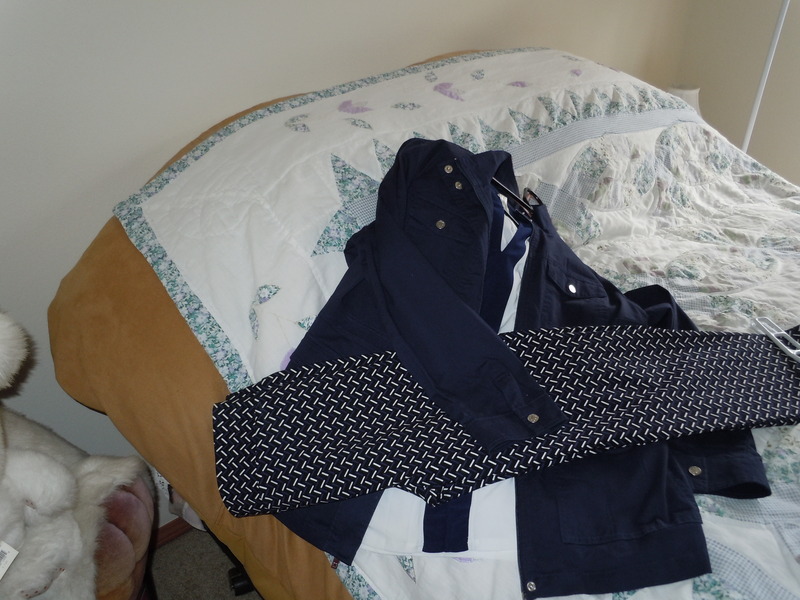 A couple of months ago someone introduced me to Stitchfix. I returned most of the first shipment, the choices really were not me. I thought I would give it one more try, before completely debunking the validity of the concept. The second shipment was much better. Below are some examples of what I was able to do with the pieces I received and using other items already in my closet. I owned the jacket and the freshwater pearls in just the right shade of brilliant blue. 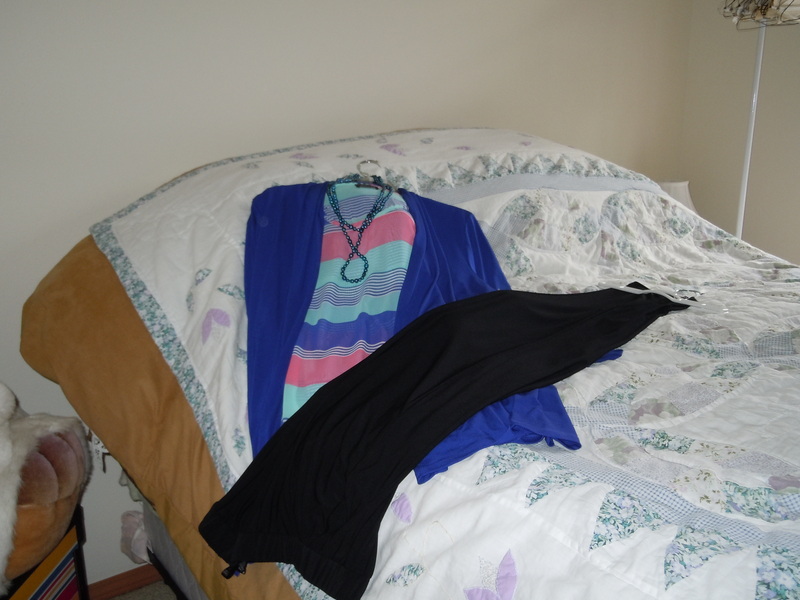 For work, I will put the set together with dress pants – in this shot, I added black ones because they were handy . My thought is it will pair nicely with jeans too. Ironically the person who turned me onto Stitchfix has a very similar blouse that I have commented on in the past. I will tell her it was selected for me, all I did was choose to keep it. Another item in the shipment was a pair of completely out of my comfort zone pants. I tried them on. My husband said they looked nice. I chose to keep them. The beauty of this is they go with a bunch of items in my wardrobe. Below is one of the outfits I put together by raiding my closet. I already owned the navy blue jacket and blouse. Earlier this year I started viewing navy blue as a neutral and started purchasing wardrobe pieces This pair of pants fits with that theme perfectly. I considered using the button-up sleeveless blouse from my shipment, but that just feels like too much blue on blue on blue. I think I need the white to break it up, but we shall see. If I actually try the blue on blue on blue, I will post a follow up picture. Overall, I am impressed with my StitchFix experience and am actively updating my communications with my stylist. My thoughts are she did quite well with minimal knowledge, let’s see what happens with more data.